Used in combination with methyl green for the selective and differential staining of nucleic acids. The pyronin Y stains RNA red, while the methyl green stains DNA green. The combined methyl green-pyronin Y stain is a useful histochemical reagent. 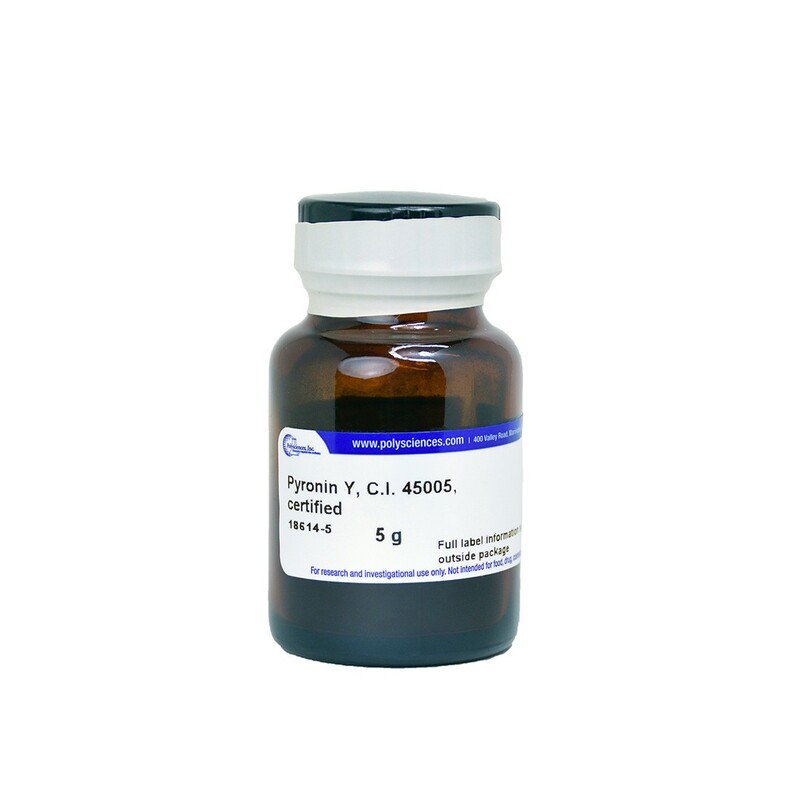 Pyronin Y can also be used as a tracking dye for polyacrylamide gel electrophoresis.